Where is our Funeral Home? 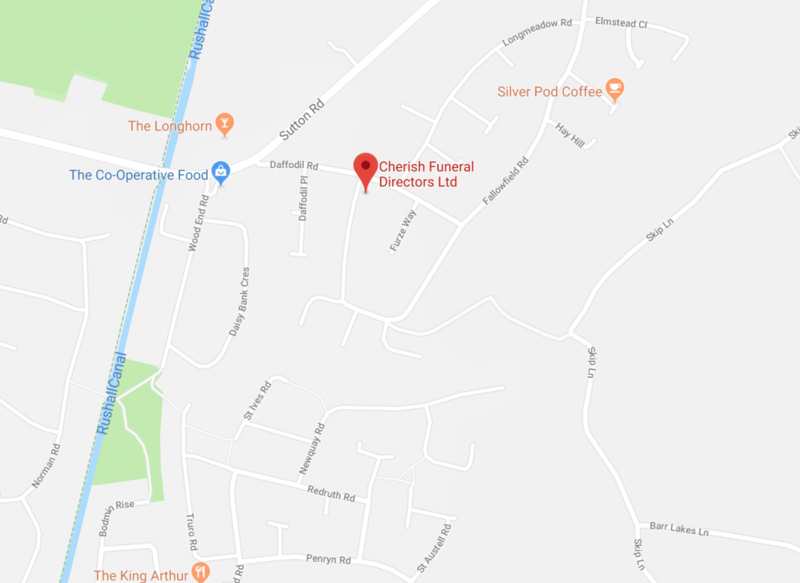 Our Funeral Home is conveniently located in WALSALL, West Midlands and is very easily accessible from Wolverhampton, Sutton Coldfield, Lichfield, Brownhills, Cannock, Tamworth, Birmingham, Willenhall & surrounding areas. We are also happy to cover a wider location. If coming to make funeral arrangements or to visit our chapel rest is difficult for you, we will be happy to provide transport to and from our funeral home. If you prefer to make funeral arrangements in the comfort of your own home, we can offer this service anywhere in the West Midlands at no extra cost.